Download includes a lavishly illustrated PDF brochure with photographs and an essay. 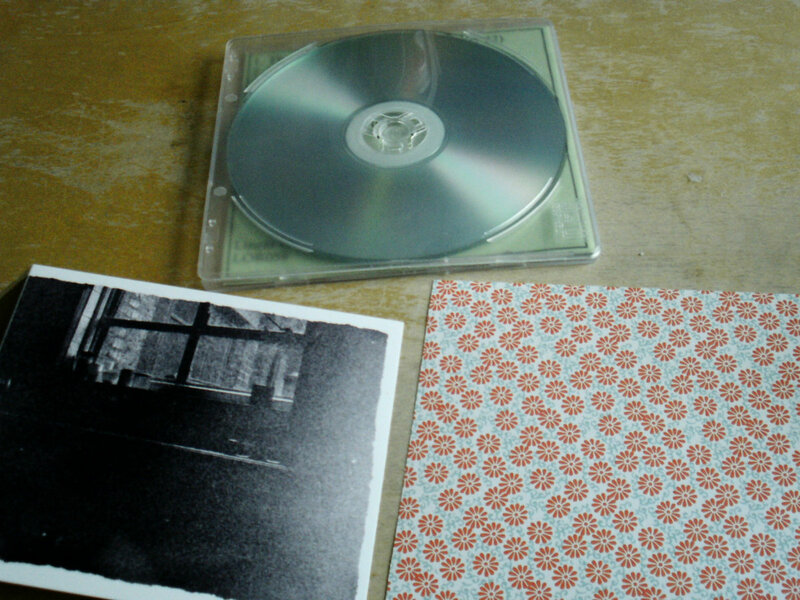 Limited,numbered edition of 50 hand stamped CDRs in a frosted flexible case, with green sugar paper insert, sleeve notes on patterned paper and a photograph. 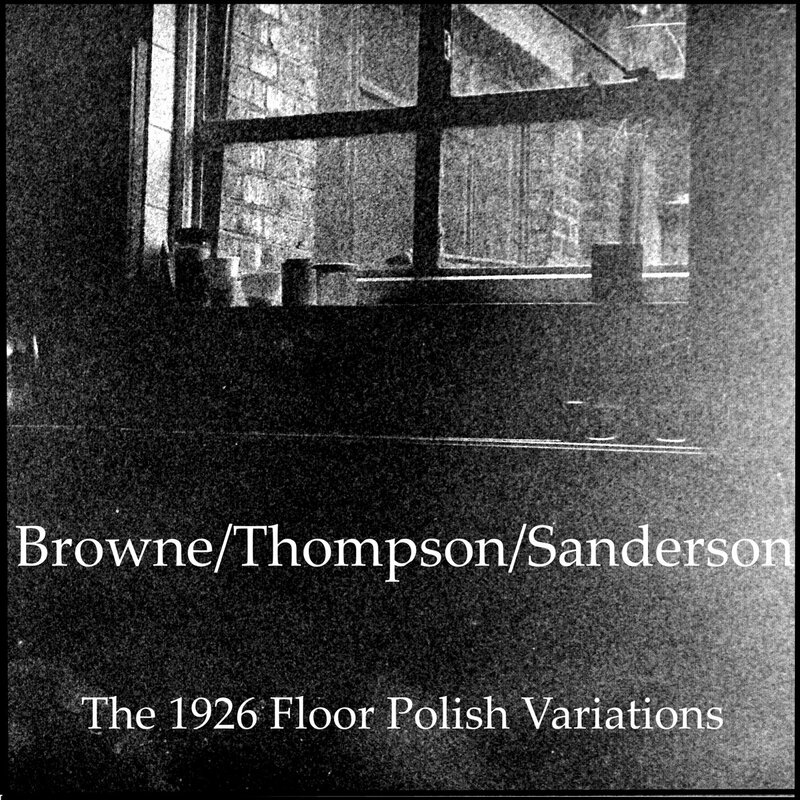 Includes unlimited streaming of The 1926 Floor Polish Variations via the free Bandcamp app, plus high-quality download in MP3, FLAC and more. In May 2014 the London based improvisers Daniel Thompson (guitar) and Richard Sanderson (melodeon- a diatonic button accordion) travelled to a Guides' Hall in Aylesbury to meet up with saxophonist and collector of objects Mark Browne. The plan was to record music, although the trio had never before played together. The result is "The 1926 Floor Polish Variations" a series of improvisations recorded with crystal clarity in the beautiful acoustic of the hall. The music is a probing, adventurous and uniquely textured exploration - haunting and fascinating. Cover photograph by Richard Sanderson. 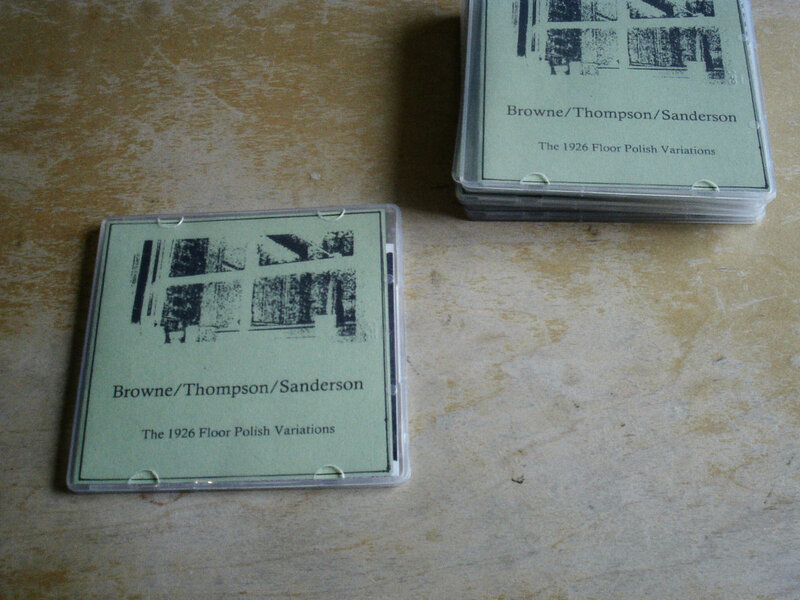 ...."There are wheezing drones too on The 1926 Floor Polish Variations, a new trio of Richard Sanderson, Mark Browne and Daniel Thompson, issued on Sanderson’s own Linear Obsessional label. This time, however, the drones are from Sanderson’s melodeon, which casts icy, ancient-sounding whisps through the four tracks on offer. 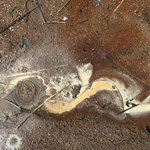 The configuration is perhaps the closest to classic European free improvisation of the four releases under discussion here, and so there are scrabbles and scratches enough – notably on Hole in the Floor – for any AMM or Incus records aficionado. But there’s more here than that. 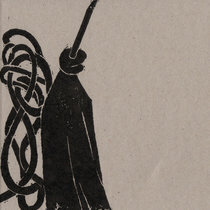 The tracks have a stately grace that recalls the chamber improv of Sanderson’s other combo, The Horse Trio, although the trickster-like figure of Mark Browne brings a more disruptive presence to proceedings, with a variety of bangs and squawks bursting through the frosty surface at opportune moments. I’m a big fan of Browne’s work, and, as well as astringent horn playing on pieces like The Nearest Emergency Phone, he gets to deploy all manner of gubbins to add surreal sonic juxtapositions and abrasive textures to the tracks. On The Right Foot in the Door, he follows an almost hysterical percussive sequence with what sounds like duck or game calls, which sounds like a group of children brandishing maracas while chasing a herd of penguins around an ice floe. 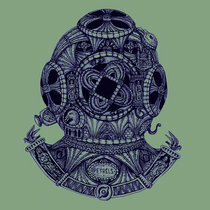 Thompson, for his part, unfurls a series of brittle guitar clusters, which add a welcome sense of frailty to the tracks. They creep and crawl around the drones and scrapes, spreading like frost into the joints and cracks of the other two’s playing. It all makes for a rewarding and enriching work." "What happens when a folk instrument is taken out of its customary milieu and asked to extend itself into musical territory far afield? One answer at least can be found in The 1926 Floor Polish Variations, a release of music for melodeon, guitar, saxophone and an assorted miscellany of sound makers. The melodeon—the folk instrument alluded to above—is a diatonic button accordion usually associated with sea chanties, Morris dancing and the like. Here, as played by Richard Sanderson, it becomes a formidable instrument in the experimental arsenal. 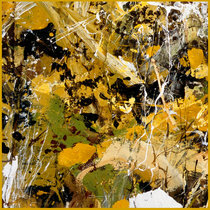 Sanderson is able to extract dissonant overlays of tones, multiphonics, beats and air notes in addition to sounds drawn from the instrument’s mechanisms and casing. 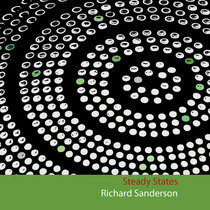 (Sanderson’s 2011 solo release Improvisations for Melodeon shows the sometimes surprising range this ostensibly simple instrument is capable of.) 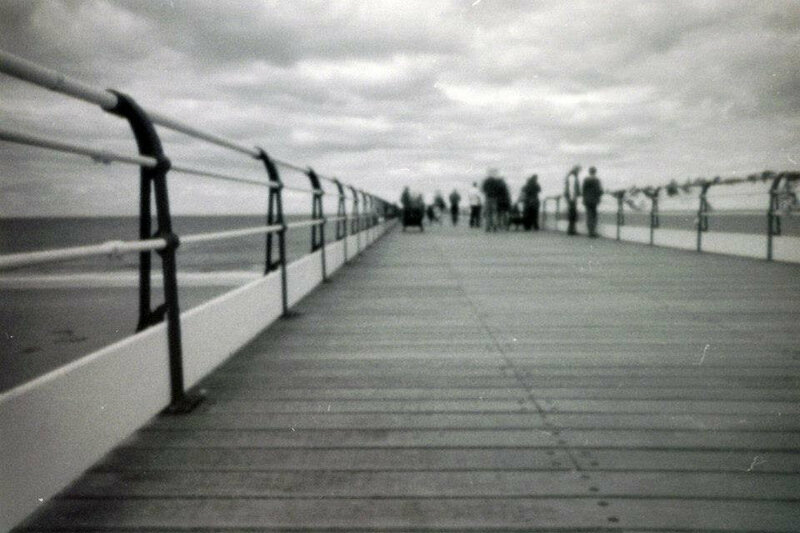 From that sonic foundation Daniel Thompson’s guitar and Mark Browne’s saxophone build a superstructure of contrasts and resemblances. The melodeon and saxophone often work together to create a knotted web of long tones, frequently taken from the wind instrument’s upper register. Who’s playing what becomes something of a guessing game until Browne declares himself with a rapidly convoluted line or unmistakable growl drawn from the lower register. Thompson binds and separates the other two with quick, staccato bursts or individual notes left to linger in the spaces between. 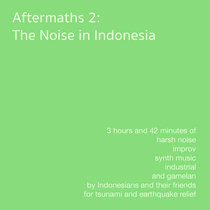 Seemingly inevitable at the local level while unpredictable over the longer term, each of the four improvisations collected here move along from point to point over the course of a collective stream of consciousness attentively spun. 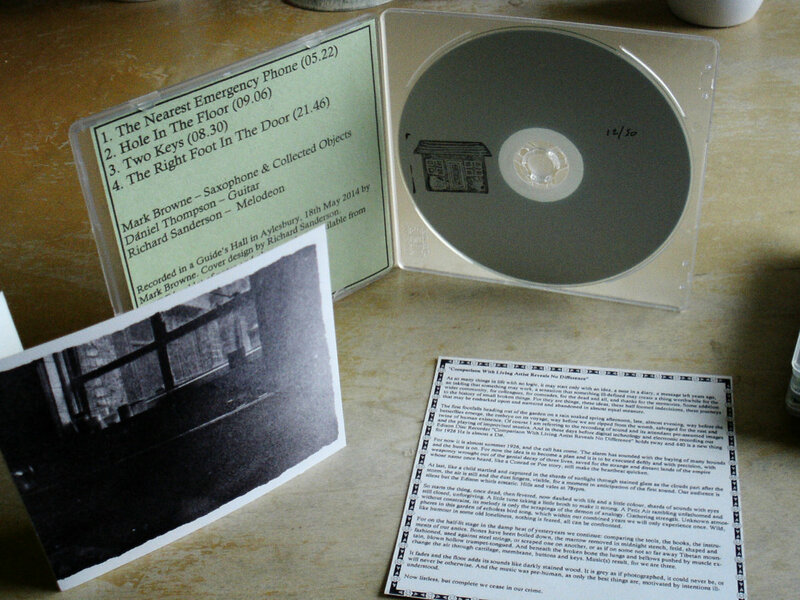 The sound files are accompanied by a PDF containing striking semi-abstract photographs and an evocative text by Browne." "Un concert enregistré à Aylesbury, la patrie de Lol Coxhill. 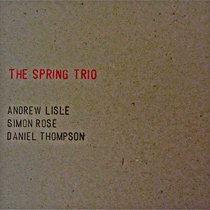 Mark Browne sax alto & collected objects, Daniel Thompson acoustic guitar, Richard Sanderson melodeon : soit trois activistes de l’improvisation londonienne. 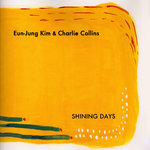 Celle-ci s’est distinguée par l’émergence de personnalités hors norme qui ont eu une influence considérable sur la free-music, de AMM à John Stevens, d’Evan Parker et Derek Bailey à Paul Rutherford, Barry Guy et Lol Coxhill, sans oublier les percussionnistes Tony Oxley, Paul Lytton et Roger Turner, etc etc… et un sens de la communauté qui fait que quiconque pratique cette musique se sent le bienvenu et devient involved. Comme une partie des pionniers disparaissent (Stevens, Bailey, Hugh Davies, Rutherford, Coxhill, Elton, Tony Marsh) et que plusieurs musiciens ont quitté la ville (Keith Tippett, Trevor Watts, Phil Wachsmann, Evan Parker, Maggie Nicols, Mark Sanders) ou le pays (Oxley, Lytton, Paul Rogers, Simon H Fell, Simon Picard, Louis Moholo), le paysage improvisé londonien des années 2010 n’en demeure pas moins riche, contrasté, improbable et toujours aussi attractif. 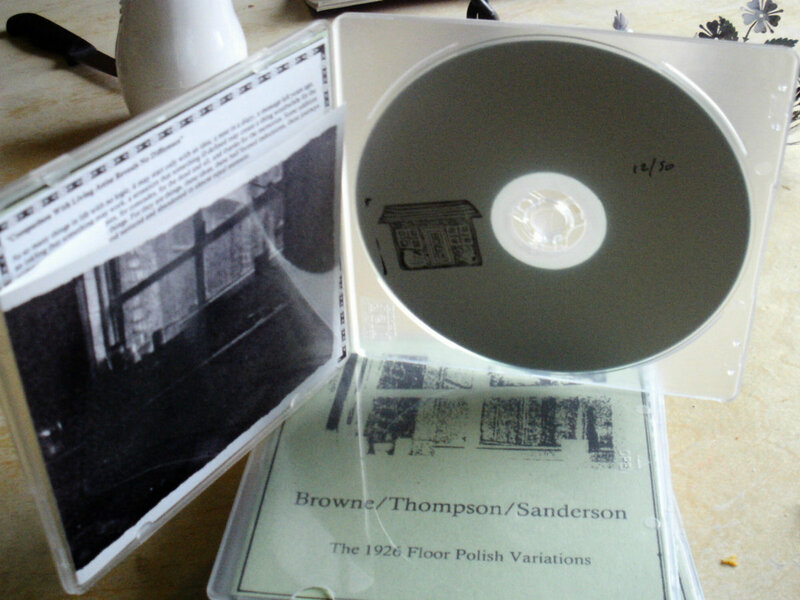 Produit à petite échelle par un incontournable, Richard Sanderson, musicien électronique inventif, sur son label à coucher dehors, The 1926 Floor Polish Variations relate une tentative réussie de marier la chèvre et le chou avec talent, une part d’ironie, de fausse candeur et une conviction imperturbable. Il en résulte de belles inventions individuelles du saxophoniste Mark Browne, épigone du free playing tous azymuths mouvance Evan Parker - John Butcher et du guitariste acoustique Daniel Thompson dont la voie complète heureusement celle de John Russell. Le mélodeon de Sanderson liant les deux instruments dans le trio avec un air détaché. Pour l’information, le mélodeon est un accordéon diatonique bi-sonore. Il comporte une rangée de boutons (10 le plus souvent) pour la mélodie à la main droite et 2 (le plus souvent) ou 4 soupapes pour l'accompagnement à la main gauche. La partie mélodique dispose de 4 voix (rarement 3) qui peuvent être mise en jeu ou hors jeu individuellement par des tirettes. La pièce de résistance du concert qui suit 3 morceaux de taille moyenne entre 5 et 9 minutes, The Right Foot In The Door, nous fait entendre Richard Sanderson perpétrer des sons extrêmes son instrument. On croirait une basse cour qui s’étrangle, alors qu’il distille ailleurs une atmosphère de manoir hanté. Mark Browne pointe des harmoniques ultimes et vrille la colonne d’air dans une stridence vocalisée. Ce disque est un témoignage vivant de cette habitude qu’ont les improvisateurs londoniens d’essayer tout ce qui est possible entre les personnalités les plus diversifiées de leur communauté, pour voir ce qui va se passer et aussi par un sentiment d’amitié et d’admiration mutuelle. Sentiment qui chez eux a plus de poids que tout le reste. 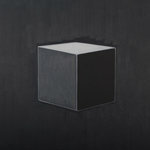 Et donc, on trouve dans ce disque des choses curieuses qui méritent d’être découvertes." - Jean-Michel Van Schouwburg "Orynx -Improv and Sounds"